I have known L E Lear for over 40 years. At my high school reunion on October 8, 2005 I noticed he was missing from the event. He was working on his dream. I will get to that in a little while. I wanted to see him so I contacted Harold Knox, a mutual friend, at the reunion to see if I could get L E's phone number. Success was at hand. L E and Harold still see each other.The next day I contacted L E and we spoke for about 15 minutes on the phone. He was still as nutty as ever. He works out deals with Burger King, and McDonalds to get better pricing for buying bulk breakfast sandwiches. That's my boy.We reunited October 20 at his brother's house in Union, New Jersey. We held each other. It seemed like we embraced for minutes. It was great to see him.I was so excited to see what he was working on. He told me all about it when we spoke the a few nights ago. I still can't believe what I witnessed. L E has been working on a model of Yankee Stadium. Some people work on model airplanes or cars or trains. L E is the first person I know of that is building a model stadium.He has poured his soul, his heart and his body into this incredible project for four years. Sacrificing income and living any kind of normal life. Hey that is what this artist chose to do. His seven foot wide, 11 foot long and four foot high replica must be seen to be believed. The scale he uses is, one inch represents 12 feet.His objective is to have Yankee Stadium, the current Yankee Stadium, refurbished, remodeled, and redone with a retractable roof. He had the roof already erected. This newest Yankee Stadium would have a walkway around an upper level that people could walk around. Each few feet of walking would provide a different sight of the field. There would also be train tracks that ran right up to the ballpark. Quite convenient for those that use mass transit to get to the game. The Major Deegan Highway would have easy access to leave the stadium. This would allow for easy departure once the game was over. Additional parking would be adjacent to the Stadium. Two parking areas would be attached to the ballpark.Now get this. In the background, next to the stadium would be tennis courts. You would be able to play some tennis and then go to the game. Here is the icing on the cake. We all know that a new Yankee Stadium is in the works. We all know how exorbitant the pricing will be to erect a new house that George builds.We all know how important luxury suits are to a team owner. They bring in lots of revenue. Larry's resurrected stadium, with retractable roof will have over 200 luxury corporate boxes. Check this out. There will also be family suits under the walkway only for families. These suits will be sold at a reduced cost so more families can get to the Stadium as a family.This entire project will cost less than the proposed new Yankee stadium.So Yankee brass, save some money, keep the tradition and create a new type of ballpark with all the amenities. Every one wins. The traditionalists keep the old ballpark and the owner moves Yankee Stadium into the 21st century.I have seen the conditions that L E has worked in to create his dream. Tight working area with little room to maneuver. Poor air circulation in winter and summer. His dream can come true. I love the idea. This replica is an incredible piece of work. Down to the finest detail.I think Yogi Berra, Babe Ruth, Mickey Mantle, Lou Gehrig, Phil Rizzuto, Whitey Ford, Ron Guidry, Thurmon Munson, Craig Nettles, Joe DiMaggio, Bill Dickey and today's Yankees like AROD, Derek Jeter and Mariano Rivera would love to see this dream become reality. .Aron Wallad has been a baseball lover for over 45 years. His passions have included; playing, watching, reading, evaluating, and coaching the game he adores. Do you love inspiring quotes, unusual statistics and most of all, heartwarming baseball stories? 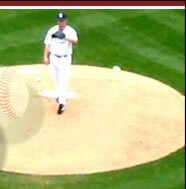 If you love baseball you will love his baseball ezine.Go here right now to join his ezine http://www.baseballsprideandjoy.com/index.php?tag=ezart. Contact Aron ? 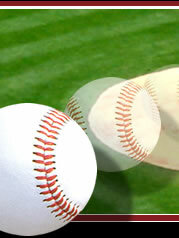 The Baseball Networking Guy at aron@baseballsprideandjoy.com.